I recently bought 2 packages of frozen salmon fillets at Fry’s, the Kroger brand salmon fillets. On the back of the packaging was this recipe, and I thought I would give it a try. I am tired of the plain old way I make salmon; brush with olive oil, sprinkle with lemon pepper, and cook on the George Foreman grill. So, this was a nice change-up for us. It was all ingredients I had on hand, so it was just a matter of mixing it up and brushing it on the salmon. While it baked, I made Garlic Green Beans (this recipe, minus the cauliflower and Parmesan cheese). 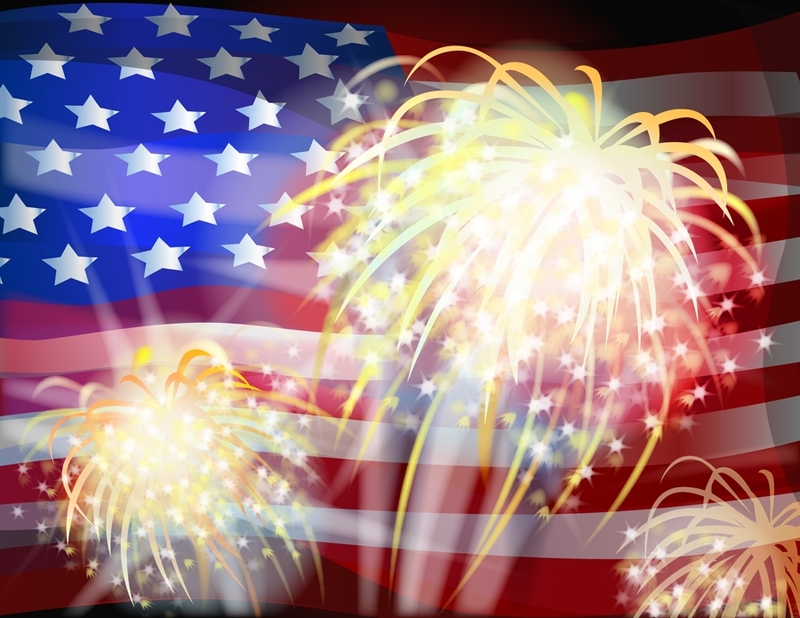 Preheat the oven to 375 F. Line a shallow baking pan with foil and spray lightly with cooking spray. Spoon mayonnaise into a small bowl. Gradually whisk in the vinegar until smooth. Whisk in the honey, sesame seeds, oregano, olive oil, and minced garlic. Put the salmon in the baking dish, skin side down if there is skin. Brush the tops and sides of all fillets with the glaze. 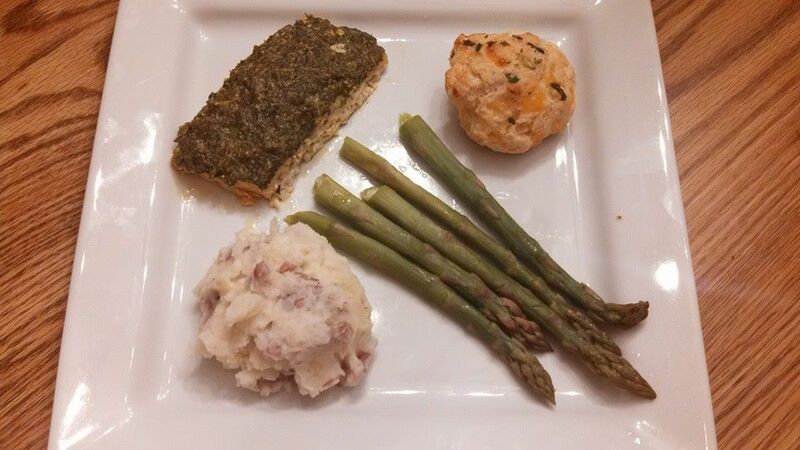 Bake in the preheated oven for 12-18 minutes, or until the salmon flakes easily when tested with a fork. Since we got a lot of cod recently from a Zaycon Foods event, I have been coming up with different ways to use it. My usual standby for white fish like cod is Fish Tacos, but I needed something different. My husband isn’t thrilled with breaded fish normally, but I wted to make something my kids wouldn’t immediately turn their noses up at. Turns out my husband really liked it, and my kids at least tried some, but weren’t overly crazy about it. And I thought it was really good as well. What I like about this is that it can be versatile. I used Italian dressing, but I think it would be good with ranch dressing as well. I used Panko, but regular or seasoned bread crumbs would work, or you could crush stuffing mix to use. I like when I can easily substitute what I have on hand. Tonight, I served it with Roasted Asparagus. Preheat oven to 425 F. Line a baking sheet with foil and spray with non-stick spray. 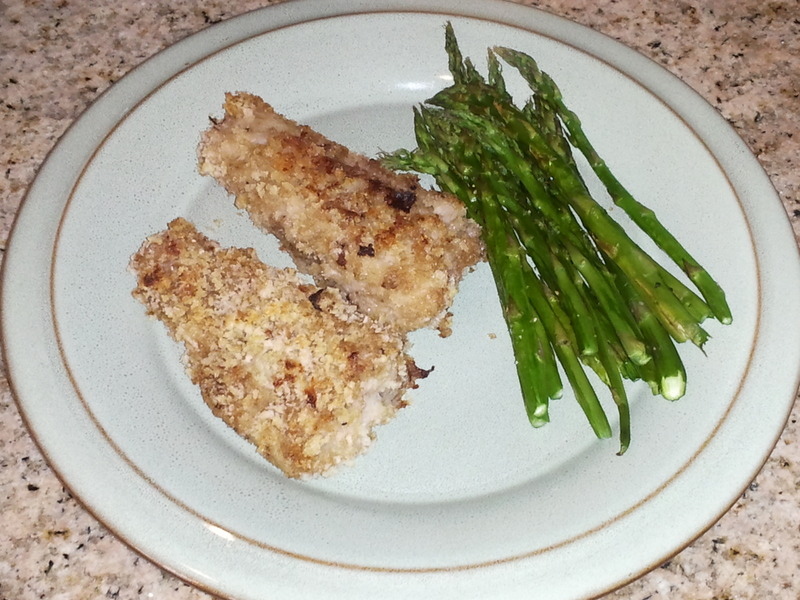 Dip each piece of cod in the salad dressing, then in the bread crumbs to fully coat. Place on baking sheet, and generously spray each with olive oil. Bake in the preheated oven for 15-20 minutes, or until flaky. For best results, flip each piece of cod over halfway through cooking. 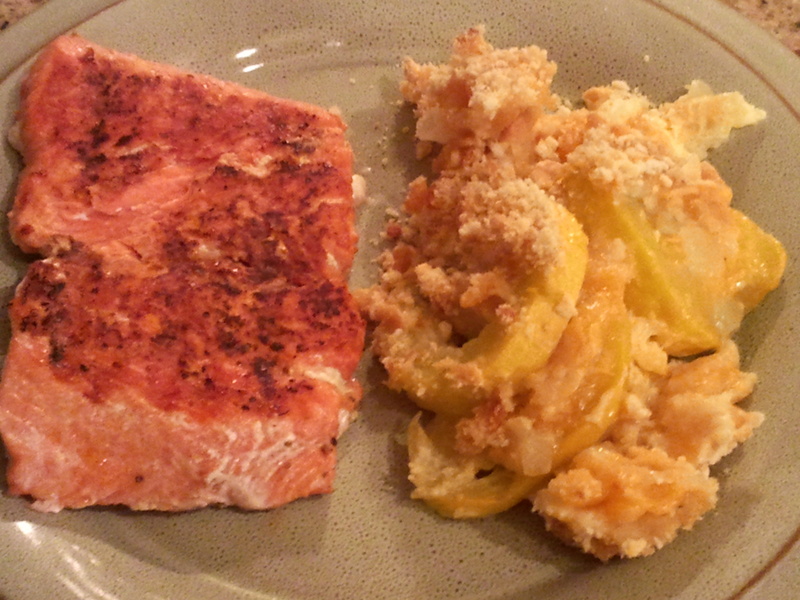 Tonight we tried out the Zaycon Foods salmon we recently bought. It was very, very good salmon, better than any I have bought in the store. I first cut the salmon fillet into 5 smaller pieces. Then, I sprayed them with olive oil, and sprinkled with garlic salt and lemon pepper seasoning. 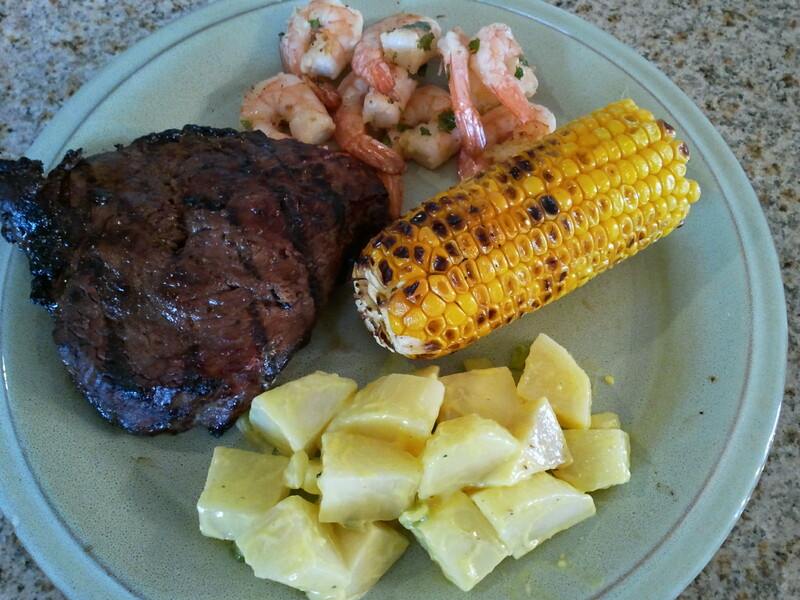 Then, I heated up our George Foreman grill and cooked the pieces. It doesn’t take long until they are done. 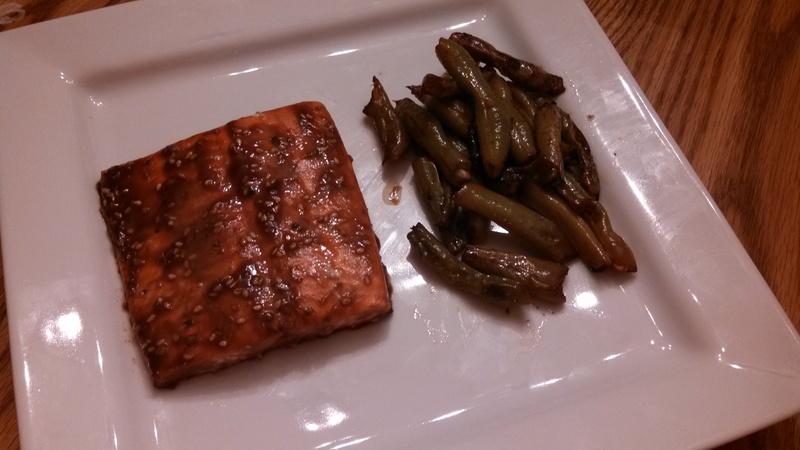 We all enjoyed this salmon, even my kids! I’m thinking about how I will make the next one. A while back I heard about Zaycon Foods. 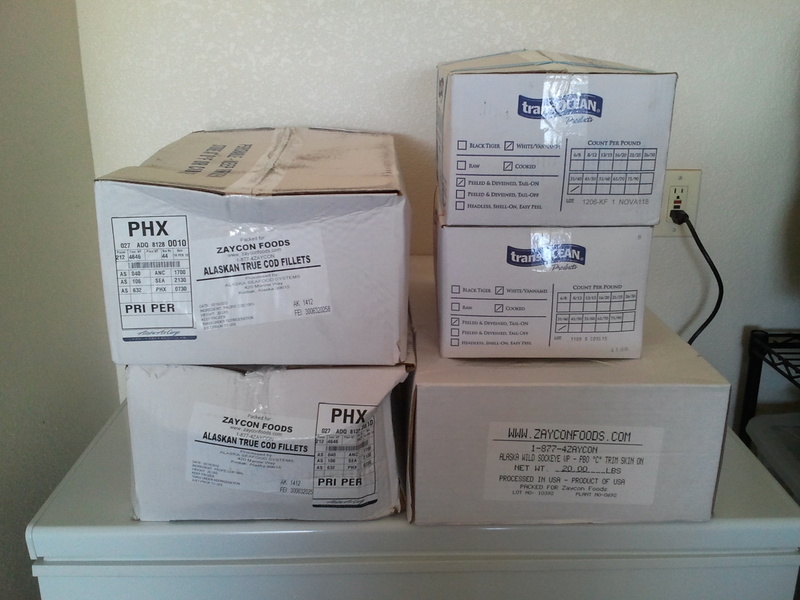 They are a company that formed in 2009 to bring fresh meats to customers at wholesale prices. They do events all over the US. At the time, they weren’t delivering close enough to make it cost effective for me, so it fell off my radar. In January, they had a boneless, skinless chicken breast and a hickory smoked bacon event that delivered to my area, but I missed out on ordering before it sold out. Earlier this month, I found out they were having a seafood event. We love seafood, and they were offering Frozen Alaskan caught Sockeye Salmon Fillets, Frozen Alaskan True Cod Fillets, and White Shrimp. Each was available as a 20 pound unit. I found some friends to share the units so that I could get some of each without breaking the bank too much, plus to try it out to see how this process works and find out the quality. It’s pretty neat how it works. The day of pick up, they have signs to direct you in to the truck. You pull up, show them your receipt, they load it in your car. I wasn’t sure how big the boxes would be, so I made sure I had plenty of room in my car. Turns out, I was fine. 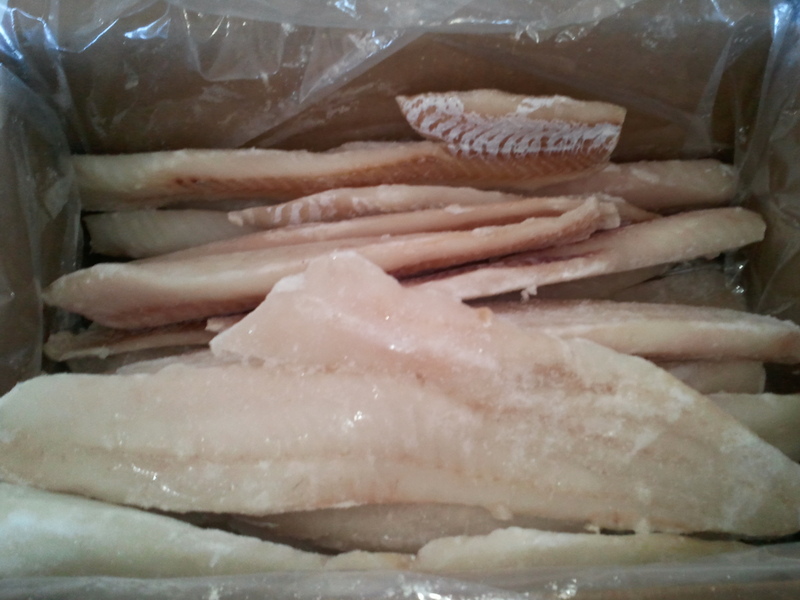 The boxes of cod were a little beat up, but the fish is all fine. It was packaged in one large bag in the box, and it seems like each fillet is about 1 pound. The shrimp was in 2 pound bags, 10 bags total. 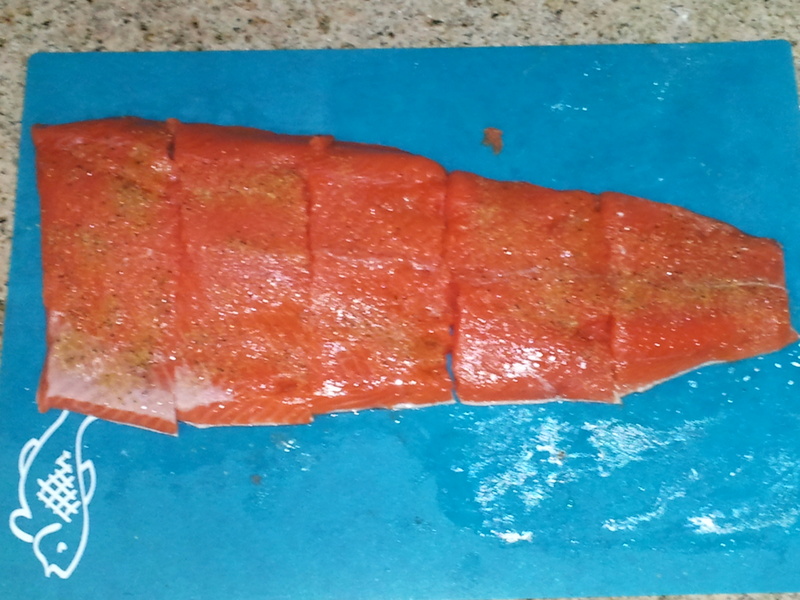 The salmon was vacuum sealed in approximately 2 pound fillets, and has skin on one side . It looks great and I can’t wait to try it out! 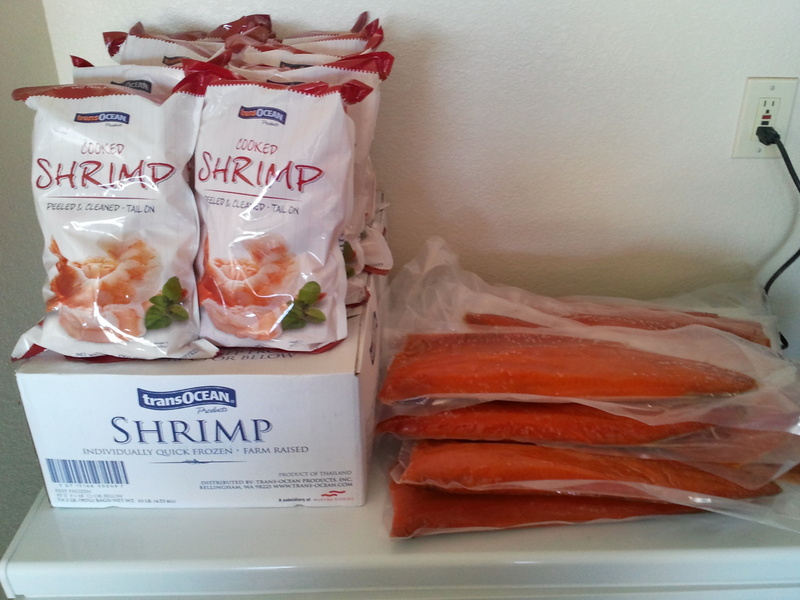 I am planning on using some shrimp this week, then will be deciding what to make next. 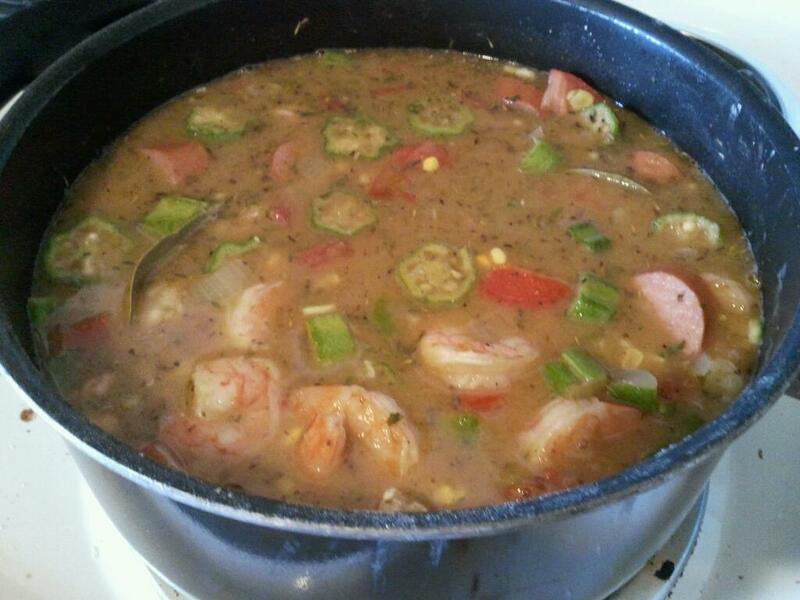 A while back I was in search of a new recipe using shrimp. 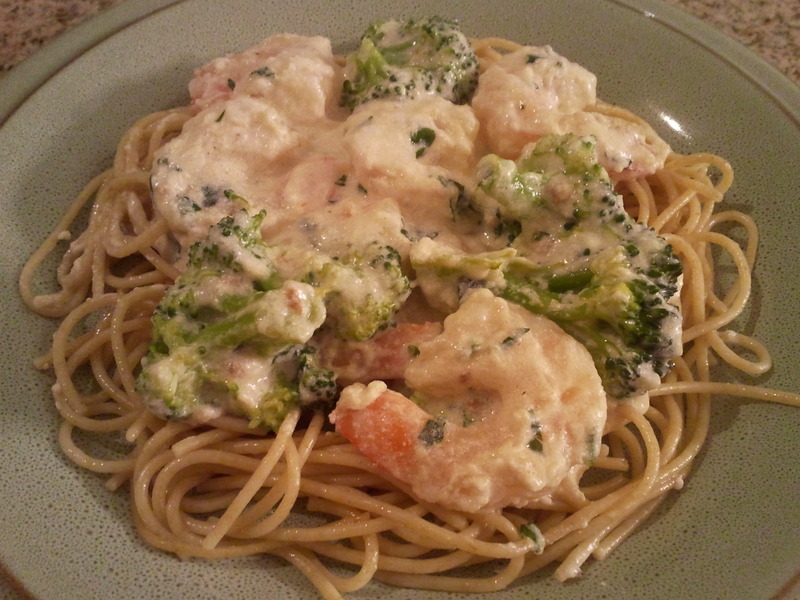 I had been using a shrimp alfredo recipe, but wanted something different. That’s when I came across this recipe for Garlic Butter Shrimp. It’s really straightforward and fairly quick to put together. 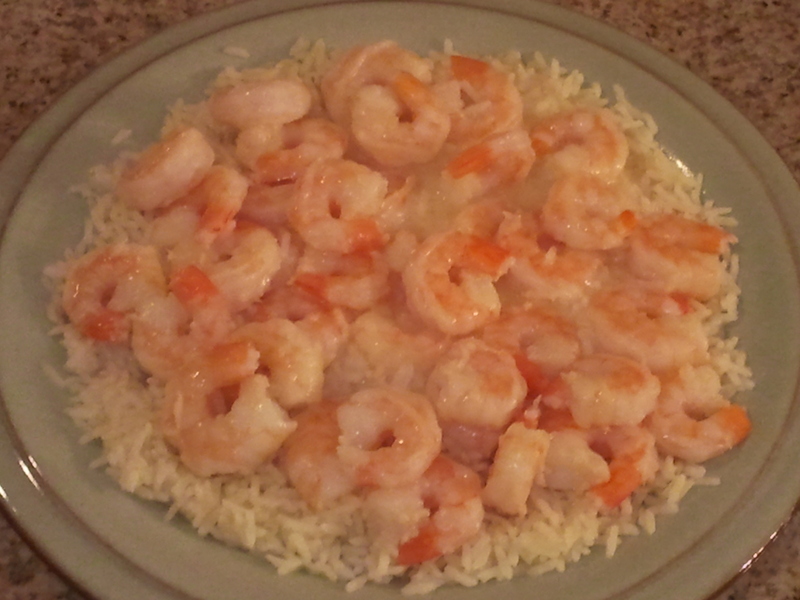 For this meal, I only had 1/2 pound of small shrimp, so I halved the recipe. Melt butter in a large skillet. 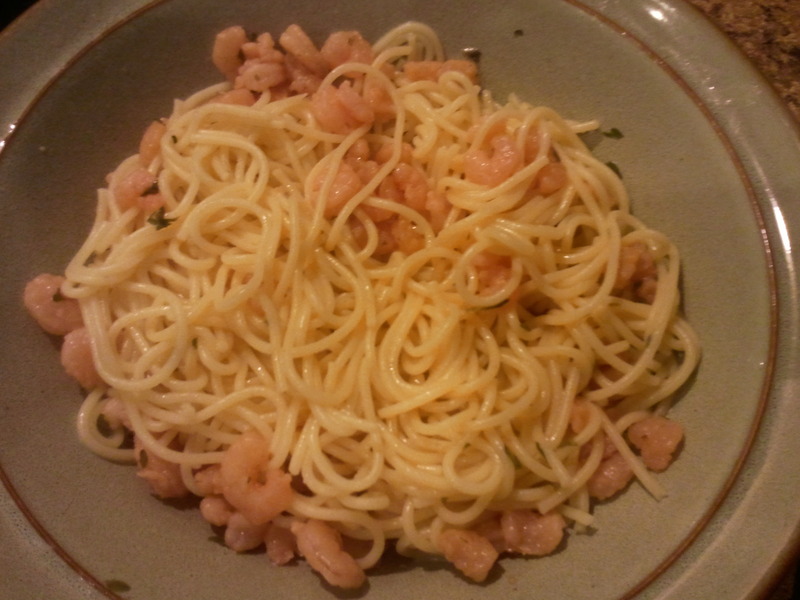 Saute garlic and shrimp in butter until shrimp turns pink. Add in lemon juice and parsley and heat for a few minutes more. Serve over rice or pasta. For this meal, I served it over angel hair pasta.